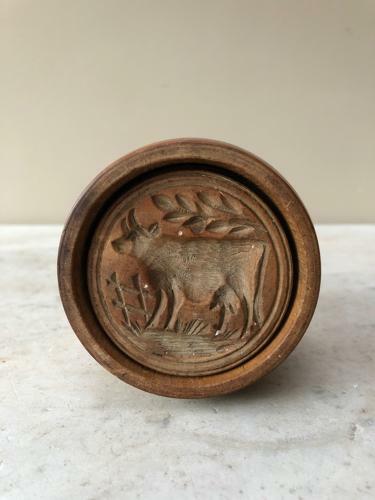 Victorian Treen Two Part Butter Stamp. Hand carved detailed cow with gate and tree above. Unwaxed and has a lovely natural rich colour/patina.